Welcome to our new, mobile-friendly site and to this, our new blog. 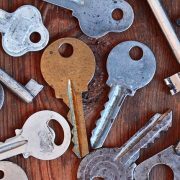 Here, we’ll add regular case studies, news, tips, tricks and other useful information relating to keys, key cutting, locks and security. Our case studies will include articles describing how G Worralls helped customers with key cutting, lock replacement and security issues. We work primarily in the London area, within the M25.